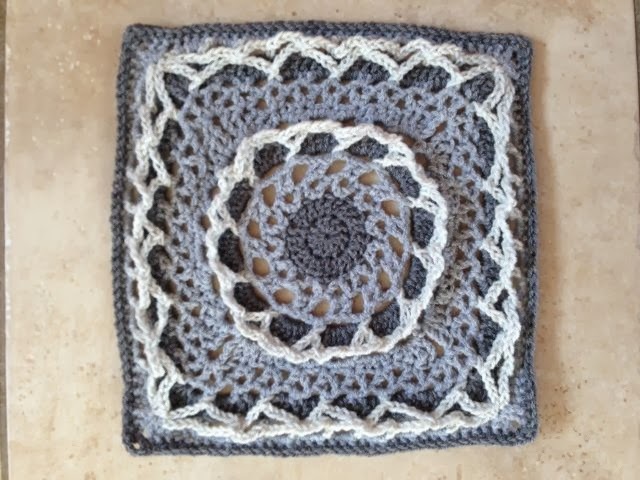 I sat down yesterday afternoon to start my first 12″ square in the Moogly Crochet Along (CAL) and have to say I am very pleased with the outcome – although it wasn’t for the feint hearted – I’m not sure a beginner would be able to follow the pattern! So here is a sneak peak. If you want to know a bit more then check out my Moogly Afghan CAL Page – click on the link on the right of my blog (under Pages) to access it and get all the latest info and pics. This really inspires me to persevere with my attempts to learn to crochet. I like the muted colours. Thanks Una. It was a bit of a challenge and although no expert, I have been crocheting for a couple of years now! You should persevere – there are some brilliant videos on YouTube, which is how I learnt i the first place! A good place to start would be Moogly! Jane.